$52.95 NOTE: Our shopping cart is disabled. We are using it to display affiliate items which if you click on PURCHASE in the PRODUCT INFORMATION by scrolling below or click on the Amazon banner the RRDi receives a small affiliate fee upon completion of your purchase. Mahalo. Money back guarantee. TREAT YOURSELF TODAY! 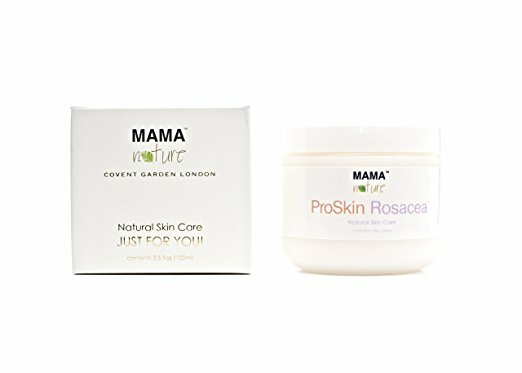 BUY ANY 3 MAMA NATURE PRODUCTS AND RECEIVE A FREE MOTHER OF SKIN CLEANSING CREAM. If you don't find ProSkin Rosacea to be the most effective rosacea treatment you have ever used we will give you your money back. Simply send us the unused portion within the original container together with proof of purchase within 30 days of purchase and we will give you a full refund. We know that natural is best and our unique range of skin care recipes have been especially formulated to harness the magic that Mother Nature’s larder has to offer. This product has been certified by the Vegan Society and has not been tested on animals. ProSkin Rosacea is lovingly hand prepared to order by our experienced team of natural skin care specialists JUST FOR YOU! It is a very effective natural skin care cream that contains calendula extract and a unique blend of essential oils. These oils have been used for centuries to effectively treat rosacea and have been clinically proven to be able to heal this skin condition and relieve inflammation, pain and itching. They can reduce the appearance of blood vessels, pimples and bumps. Tea tree oil has been clinically proven to kill demodex mites, which are now thought to cause rosacea in a high number of sufferers. When demodex mites die they decompose inside your skin and cause infection. Some people react to this more than others and it may be that you are one of those people. Many of our rosacea sufferers feel that when their rosacea gets worse that our cream is not working but contrary to this it usually means the cream is working well and the demodex mites are being killed off. More often than not after this worsening phase the rosacea clears up.The worsening phase usually happens 3 to 4 days after first using our cream and can last up to one week.When your Rosacea clears up we recommend you use our cream daily to prevent the demodex mites from returning. This cream is also an excellent moisturizer.